OM3 Fiber, still one of the most popular fiber cable types used in networks and data centers, is a cost-effective solution for many modern-day 10gig network setups. As the minimum performance standard for effective data center speed and management, OM3 fiber cables are an excellent choice to provide the bandwidth your business needs. With our new Premium OM3 cables, your network will experience an even higher level of safety and reliability with Corning fiber glass and LSZH jackets. 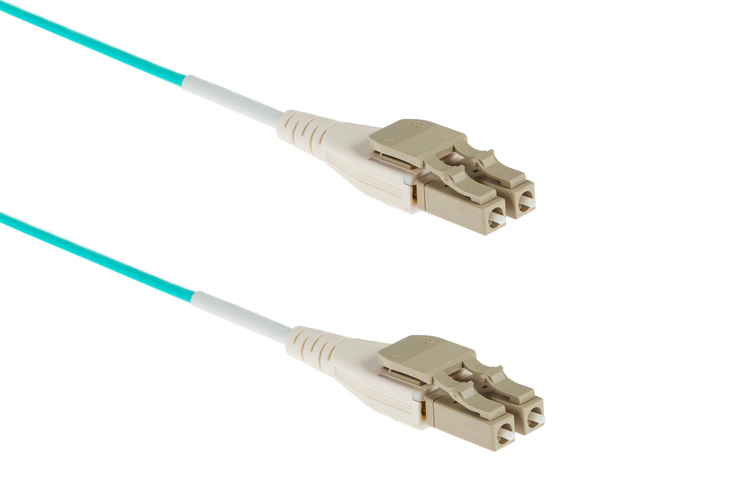 Available with many connector options such as LC, SC, and ST combinations, as well as connector and jacket types including the new high-density Uniboot & Push-Pull Tab fiber cables. Our LC, SC, ST fiber optic cables are designed for a variety of uses and come in different lengths to suit your project. Plus, each one is constructed of lightweight, thin and durable materials to ensure your information is secure and immune to environmental factors. 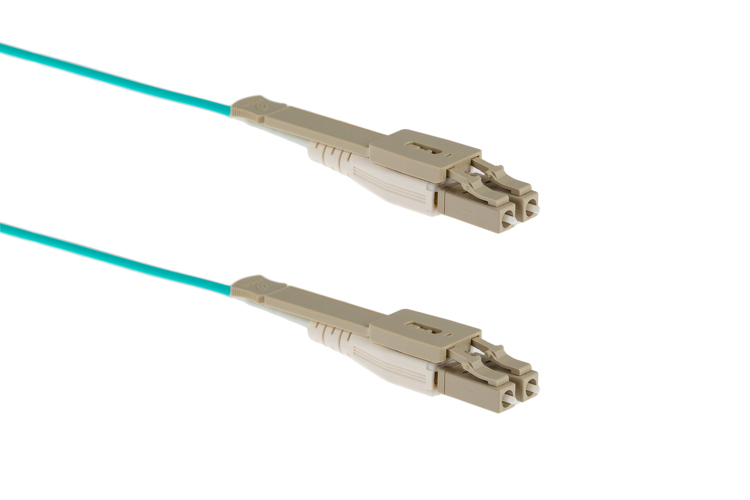 OM3 fiber cables are laser-optimized to increase bandwidth over OM1 & OM2 optic cables. 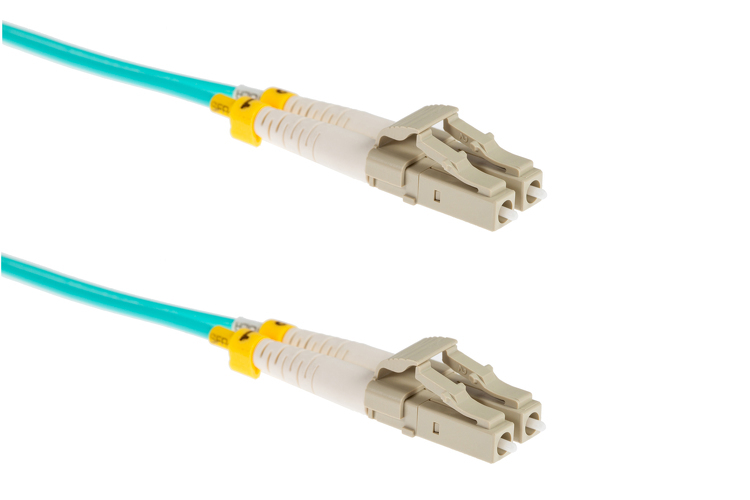 With many connector variations such as LC-LC, LC-ST, SC-ST, along with many length options, we have the OM3 cabling ready for your specific fiber installation. 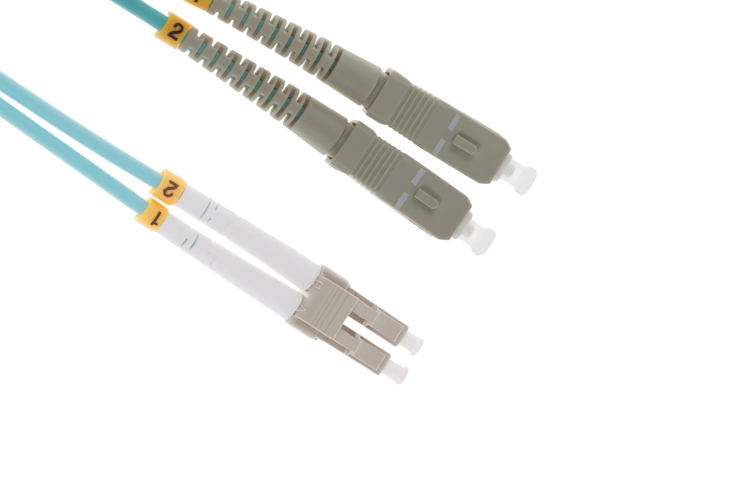 New high-density uniboot and push-pull tab fiber cables are now available! With the slim cable and boot design, these cables give you the high performance of standard connectors but make high density cable deployments easy and cable management a breeze.